SEOUL -- A country club in the southern port city of Busan will host an official LPGA-sanctioned tournament for three years starting in 2019 under a deal signed by LPGA commissioner Michael Whan on Wednesday. 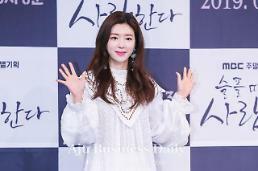 Busan city authorities said the two million US dollar event would be held in October at the Asiad Country Club as part of LPGA's annual Asian swing. This will be the second LPGA tournament to be staged in South Korea after LPGA KEB Hana Bank Championship. LPGA tournaments have been held in South Korea, China, Taiwan, Thailand, Malaysia, Singapore and Japan. The 27-hole course in Busan will change its name into LPGA International Busan after undergoing a renovation managed by Rees Jones known for many designs and redesigns of more than 225 courses worldwide. In a statement released through its website, LPGA said the course in Busan would be its first golf facility outside the United States. 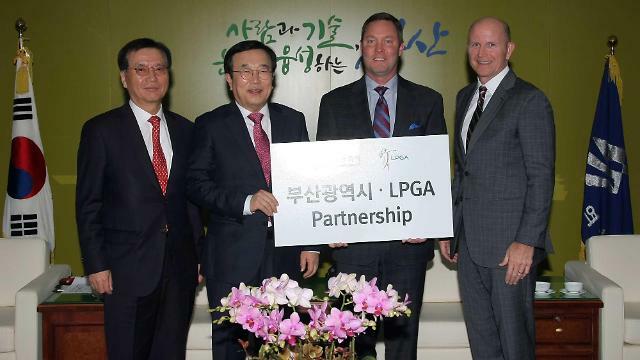 "This is a special occasion for the LPGA with the first LPGA International brand besides our headquarters, and it will play a significant role in our global business in the future," Whan was quoted as saying. "We're looking forward to establishing Busan as the heart of golf in Asia with LPGA International Busan," Busan Mayor Suh Byung-soo said in a ceremony at the city hall, adding his city would use it to boost the local economy and tourism. 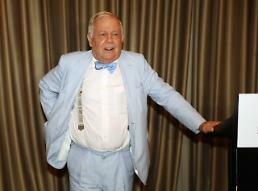 Jones vowed to establish the Busan facility as one of the best golf destinations in South Korea. "A carefully thought-out renovation and renewal of the course will improve playability for golfers of all skill levels, and also provide a complete challenge for the talented LPGA professional players."